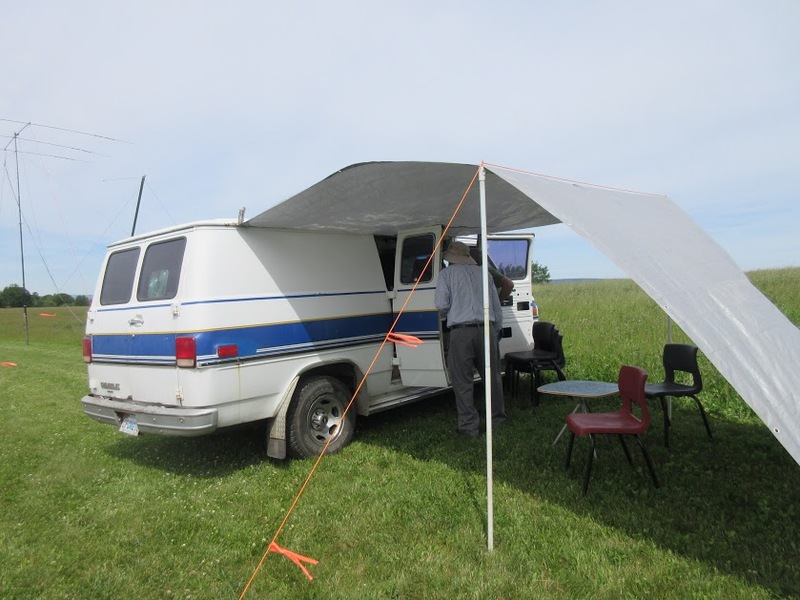 Field Day, 2018, the Kings Co and Annapolis Valley ARCs combined their efforts and ran a very successful FD18 activity. Thanks again to Wayne, VE1BAB, for his efforts in organizing and planning FD18. 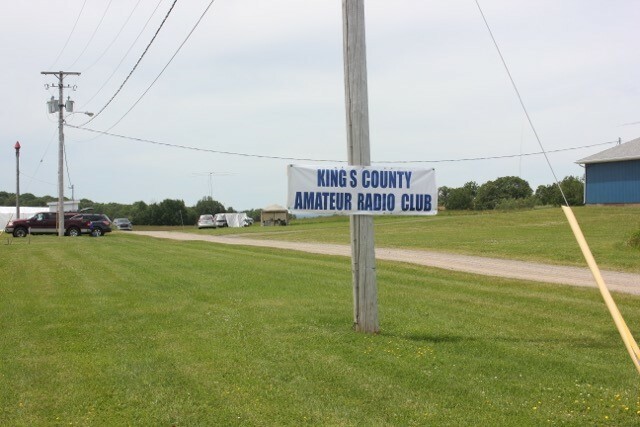 A big thanks also goes out to the visiting operators from the HARC who assisted with SSB QSOs. Conditions were good during the start and end of the event but really fell during the night. 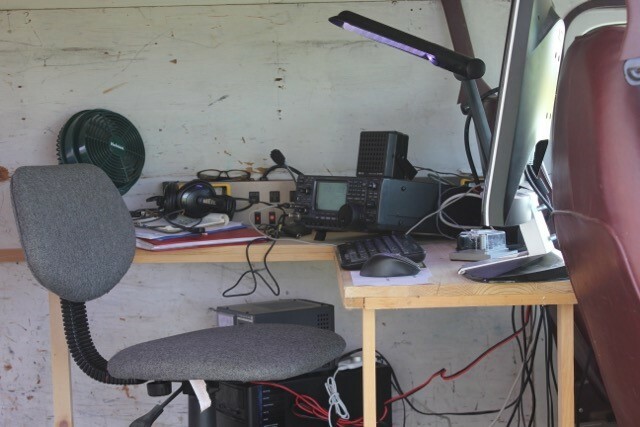 We had one operator up all night trying to make QSOs on 40 and 80 with some success, but every QSO from midnight to 6AM was a struggle. 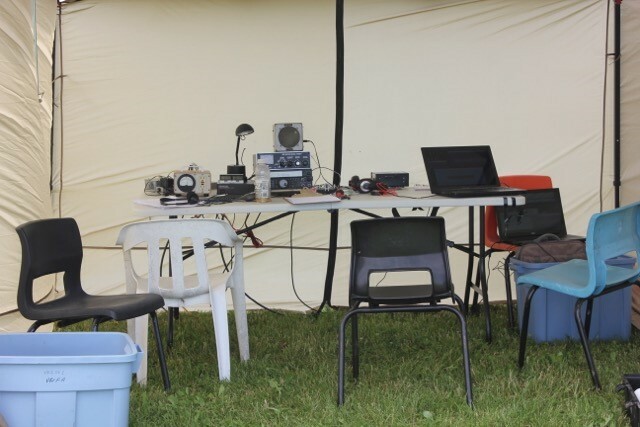 Again this year we had a shortage of operators, but with the combined efforts of the two clubs and the dedication from the operators who came out as you can see from our results we had a very successful event. 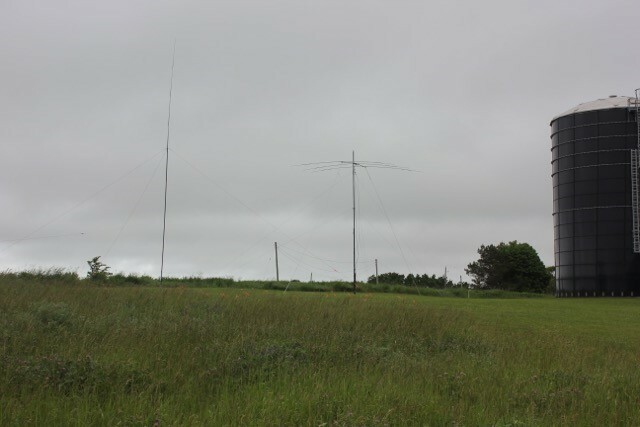 For antennas we had an assortment of beams, verticals and dipoles for each station, giving us a wide variety off options to meet both propagations and day to night changes. again to Sylvia who took lots of pictures and notes and submitted a write up for the local paper. Now if we can just get her to do some operating. Everyone went away feeling great and had a good time during the event. Everyone is looking forward to FD19 and trying match or surpass our efforts from this year. And with a couple more operators this should be possible.